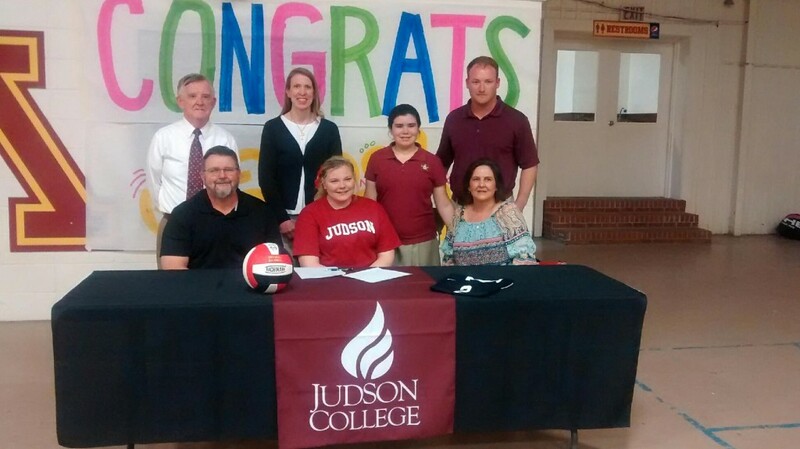 Sarah Combs, a Morgan Academy senior, joined the Judson College Eagles volleyball team earlier this month. She’ll play for the Eagles in the Fall 2016 season. Congratulations, Sarah!